Now in its second year, the 2017 GLE remains a popular choice among Springfield luxury SUV shoppers. 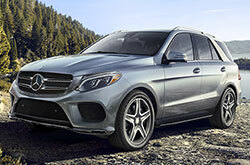 According to The Car Connection, the GLE "combines a handsome look [and] quiet ride with shocking performance," and has plenty of wiggle and cargo room as well. To learn more about this year's lineup, continue reading our 2017 Mercedes-Benz GLE review below. The five-passenger 2017 Mercedes-Benz GLE- in Springfield features luxury comforts and conveniences galore, starting with the entry-level GLE 350. On the exterior, the SUV is outfitted with power-folding/auto-dimming mirrors, front and rear foglights, a sunroof, a roof rack and a power liftgate. 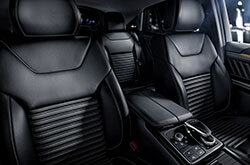 Inside the plush cabin, buyers will enjoy premium leatherette upholstery, decadent wood trim, LED accent lighting, heated front seats, dual-zone automatic climate control and an 8-inch display powered by COMAND® infotainment. There are a variety of additional amenities made available by upgrading to a higher grade or opting for one of the many package options, including LED headlights, heated/cooled cupholders, leather upholstery, a 14-speaker harman/kardon® audio system, navigation, and Apple CarPlay and Android Auto smartphone integration. When shopping for a 2017 Mercedes-Benz GLE in Springfield, buyers can choose from a range of unique powertrains, including a plug-in hybrid configuration. All models come standard with 4Matic® all-wheel drive, excluding the GLE 350, which offers it as an optional upgrade. 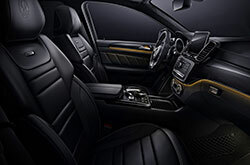 The GLE 350 is equipped with a 3.5-liter V6 and a seven-speed automatic transmission, which delivers 302 horsepower and 273 lb.-ft. of torque to the rear wheels. With RWD, this model has a maximum tow capacity of 6,600 lbs., opting for AWD pushes the limit to 7,200 lbs. The higher-grade GLE 400 features a more powerful turbocharged 3.0-liter V6, which makes 329 hp and 354 lb.-ft. of torque. This boost in power is managed by a smooth-shifting nine-speed automatic. Those thirsting for power may prefer to go with either the AMG® GLE 63 or the AMG® GLE 63 S. Both are motivated by a turbocharged 5.5-liter V8 and an AMG®-tuned seven-speed transmission. Output ranges from 550-577 hp and 516-561 lb.-ft. of torque, depending on the model. The GLE is also available as a plug-in hybrid for green-thinking shoppers, blending luxury power with incredible fuel economy. 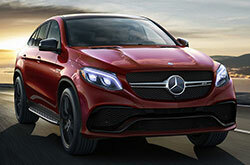 The 436-horsepower GLE 550 e consists of a turbocharged 3.0-liter V6 and an electric motor. EPA-estimated fuel economy comes in at about 43 mpg. There are plenty of high-tech standard safety features on the GLEs, such as hill-start assist, LED daytime running lights, PRESAFE® collision protection, forward collision warning, drowsy driver detection and a rearview camera. Other available advanced driver-assist technologies include blind spot detection, lane departure warning, automatic high beams and forward collision warning with automatic braking. 2017 Mercedes-Benz GLE reviews also praise the available automated parking system, which takes the hassle out of parallel parking. What are you waiting for? 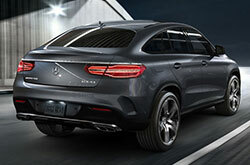 Find your GLE now! If you've been out browsing for vehicle models like the 2017 BMW X6, Volvo XC90 and the Infiniti QX70 near Springfield, you should take into account the 2017 Mercedes-Benz GLE. Its wealth of progressive features and sleek looks may be just what you seek from a car. Use our evaluation to see if the 2017 Mercedes-Benz GLE is ideal for your specific needs. 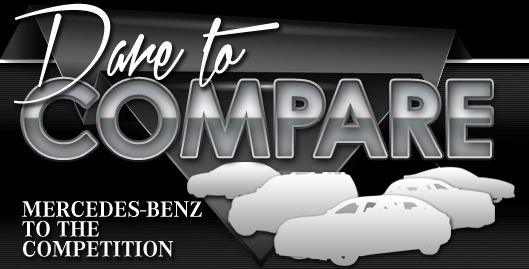 Also take a glance at current exclusive offers available at Elite Automotive Group! We're a go-to car dealer with a large number of financial incentives on new and quality pre-owned car models, including the Mercedes-Benz GLE. After viewing our 2017 Mercedes-Benz GLE review, make note of the specifications that you found accessible; they'll help you make a responsible vehicle purchase that you won't second guess. You are guaranteed to be impressed when you visit Elite Mercedes of Springfield to test drive the Mercedes-Benz GLE; we invite you to come examine the model upfront. Also, prior to your visit, you can see its polished design from all sides by watching our video recording.